Tulane University researchers and collaborators have discovered a new biological activity in a small protein from the deadly Ebola virus. A compound known as the “delta peptide” is produced in large amounts in Ebola virus-infected patients, but its function isn’t yet known. The investigators tested the effects of purified delta peptide on cells from humans and other mammals and found that it could be a viroporin, a type of viral protein that damages host cells by making the membranes become permeable. The discovery comes as health workers try to contain another Ebola outbreak in a remote area of the Democratic Republic of the Congo. Ebola, which is highly fatal, causes severe vomiting, internal bleeding and extreme gastrointestinal distress. Tulane researchers say the immediate next step is to begin developing therapies that target the delta peptide. 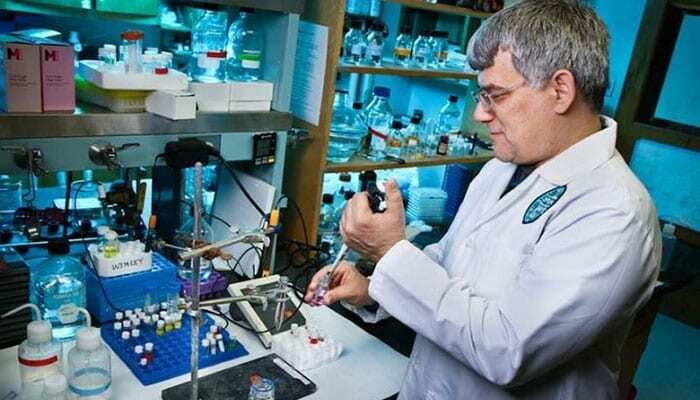 The research involved laboratories from Tulane University School of Medicine, which participated in the fight against Ebola virus on the front lines in Sierra Leone during the outbreak, as well as researchers from Johns Hopkins University and the Louisiana State University Health Sciences Center.